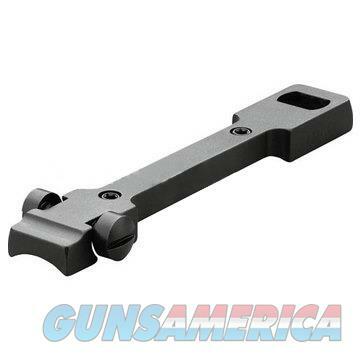 Description: This Leupold STD 1-Piece Base (49987) is rock-solid, windage adjustable and also fits in most rifles. Using the windage adjustment feature built into the base allows the centering of windage adjustment clicks on the scope for a more accurate and dependable elevation adjustment plus, you never run out of windage adjustment due to misaligned receiver drilling. All bases include torx screws and torx driver tool. The Leupold MRT scopes feature Mid-range (out to 400 yards) accuracy for tactical and competitive shooting.